With more than a quarter into 2014, I hope the year is promising to bring you much success and prosperity. I’m very excited to share with you this content-rich edition of our LebNet newsletter which should provide great insight into the various activities underway. It was a pleasure seeing so many of you last Monday April 21st at our sold-out dinner event at Tannourine. Wow, what a successful evening !!! and all thanks to a wonderful panel featuring Andre Haddad and Rony Chammas and skillfully moderated by Jessica Semaan. Additionally, I would like to thank you all for a very successful fundraising campaign which was started back in December: we have raised nearly $80K from about 45 members. That money has allowed us to hire our part time Executive Director, Michelle Tager, whom some of you met at the event and would share our conviction that she will lead us into the next level of organization and productivity (Michelle’s biois posted on our website). The funds will also enable us to structure our involvement with Lebanese entrepreneurs as we establish a solid mentorship program and develop a member’s skills database to support this mentorship program. You can read more in this edition about our first adopted company Instabeat and its CEO Hind Hobeika and how this mentoring relationship came to us via our partners at LFE (Lebanon For Entrepreneur) in Lebanon. Finally, I want to urge you to consider LebNet as your platform for networking: volunteer or lead your own committee. There are lots of great ideas that cannot be put to execution without your involvement. Why: Lebnet’s mission is to be the prime network of Lebanese High Tech professionals in the diaspora, based in Silicon Valley. LebNet is working on expanding its activities into other geographic clusters of High Tech in the US and abroad. Our membership database is one of the main assets we rely upon, to accomplish our goals. How You Can Help: Come to our events and bring a friend or more (they may apply to become members), spread the word about LebNet to your network of friends and colleagues, let us know about your friends and colleagues who may be interested in joining us as members. If you are already a member, update your status on our website. If you have graduated as a student, you can change your status to Professional. If you are listed as a Friend of LebNet and you qualify to be a member, please update your profile as well. Subscribe to receive advance event notification, news, and to participate in the Forum, discussions and postings. What’s new: As of today, LebNet has reached about 300 Members and Friends. Why: The LebNet Mentorship Program is initiated by LebNet as part of our mission of leveraging the commitment of the diaspora to Lebanese entrepreneurs, by mentoring High-Tech professionals and executives from Lebanese descent, and connecting with Lebanese start-ups in the tech sector. What: It is a two-tier program by which LebNet adopts a company according to a defined “Selection Process”. 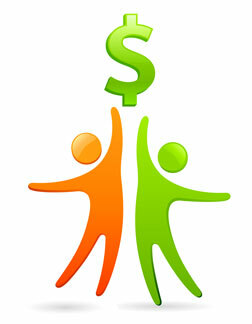 The first tier is called the Coaching Program, and the second tier is called the Sponsorship Program. This program is open to Lebanese start-ups and global start-ups founded by Lebanese entrepreneurs. How you can help: LebNet is giving priority to its members and friends to serve as mentors by joining our Lebnet pool of distinguished experts. Look out for our upcoming online short survey.By giving a few hours of your time per month, you may contribute to the unprecedented success of a Lebanese start-up company in the global market! What’s new: Lebnet is proud to introduce the first beneficiary of its LebNet mentorship program:INSTABEAT. To this effet, an advisory committee has been formed, to include Fouad Tamer, George Abizeid, Imad Jabbour and chaired by Najib Khoury-Haddad. Why: As many non-profits, LebNet does minimize overhead expenses. However, running our programs and being effective need some funds. What: Every year, in December and January, we will launch our annual campaign for funding. The success of our activities and programs will vastly depend on your generosity. How you can help: Donate! Donate as much as you can, it is tax deductible and value added! What’s new: LebNet has launched its first annual fundraising campaign in December 2013 and was able to raise around $80K thanks to its generous donors. These funds will be used as specified here. LebNet latest event was another success! More than 80 attendees gathered at Tannourine restaurant Our distinguished speakers were Andre Haddad, CEO ofRelayRides and Rony Chammas Founder and CEO of PeerSpace. The panel was moderated by Jessica Semaan, head of the Customer Love department at Airbnb. Good news for our LebNet Members! During the event, Rony Chammas has generously announced that Peerspace is offering 25% discount on your first booking! Check out their website for more information on how to book your space. Good News for Lebanese Entrepreneurs! Our Co-Founder and Board member, Elie Habib announced during the event, the Banque Du Liban (BDL) initiative to invest $400M in equity support to Lebanese Start-ups in the technology industry. Read more here. Please click here for more information and pictures of the event. Q1: How did you hear about Lebnet Mentorship Program? I came to a Lebnet dinner in September 2012 and have met with some of the LebNet members, but only heard about the mentorship program a month ago, when Abdallah Jabbour (a friend and now working at LFE) got in touch with me and put me in touch with Fouad Tamer. Q2: What is your vision of the ideal mentor? 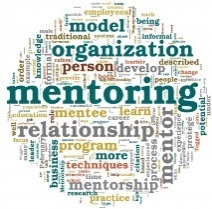 An ideal mentor is someone you get along with well (very important! ), that you admire for the work they've done, who understands the complexity of a certain aspect of my business, who's been through it, and who understands the emotional and logistical challenge of running a start-up! Q3: Tell us about your experience so far, with the LebNet Mentorship Program and about your expectations for Instabeat and for yourself from this program? I came for 2 weeks to the US for the testing of the device, and took advantage of my stay there to initiate the mentorship program. I first met with a small group to discuss my startup more in details and to get ready to meet the board, then I met with the LebNet board members and explained my business in details, and through their exhaustive questions we were able to identify my direct needs, and then I met with a smaller group that has experience in what I needed (marketing, online, financial, manufacturing) in order to draft an action plan and determine the next steps. I found it amazing how much members are willing and want to help, and they have been super accessible, and we've tackled some big questions like warehousing, supply chain, shipping, quality and manufacturing. It was very helpful, and I know I have a board of advisers to report to with my progress and reach out whenever I need anything. Get a peak of the latest LebNet events, news and job postings!